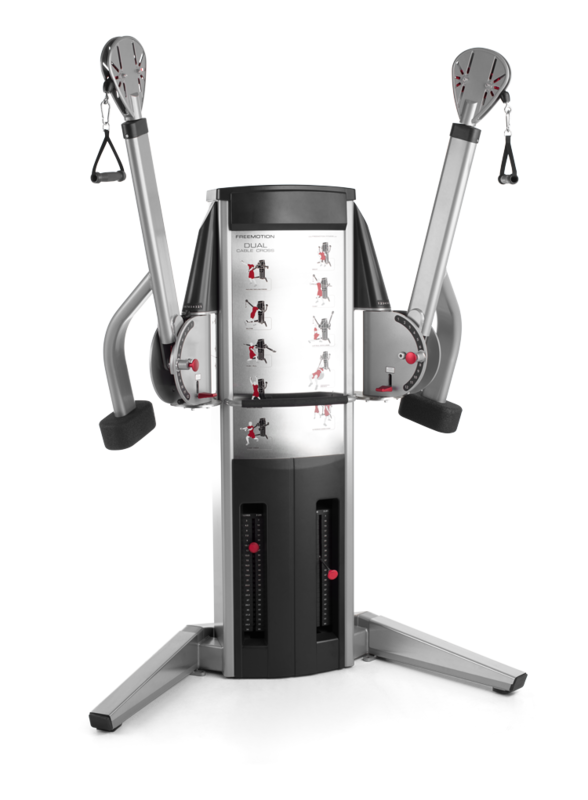 The Freemotion Dual-Cable Cross enhances strength by allowing users to perform movements that mimic activities in everyday life. Every muscle and plane of motion can be worked and challenged on this unique machine. Lead one-on-one personal training sessions or small group circuits for a strength, stability and balance component you won’t find on fixed-isolated machines. The open design makes it ADA compliant and welcoming for all fitness levels. Add a bench or stability ball to create a truly customized workout for members who want to focus on ab work. Buy Freemotion Dual Cable Cross online. If you are interested in the Freemotion Dual Cable Cross for sale, feel free to enquire above.